Sigma Beauty Affiliate Program: New FREE Gift with Purchases Over $30! For the month of April, we are offering a new free gift with all purchases over $30! The pink travel-sized E05 eyeliner brush delivers a precise stroke to line the eyes. We created new affiliate banners for this exciting promotion! To use one of the banners, save the image to your computer, upload it to your blog as a picture and insert your affiliate link as the URL. Let all of your followers know about the new gift! 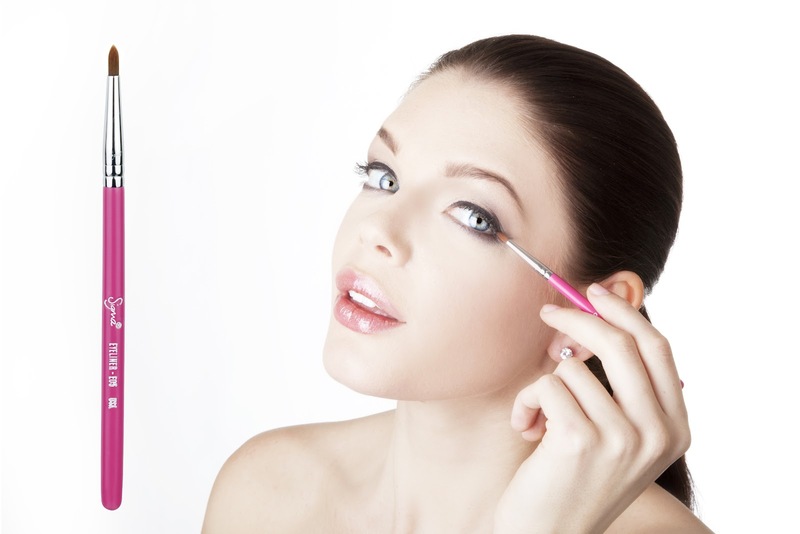 A FREE eyeliner brush is great incentive for your clients to purchase. This promotion will begin April 1st and be valid for one month. We will keep you updated with all the free gift information you need to know! Comment below and let us know how you will be sharing the new free gift information! Wow. This is a great free gift. I have published a post on my blog and also placed the banner in my sidebar. I can't wait to share the link on my YouTube channel shopsavvysaver, I think this promotion is a wonderful idea. I will be posting on my blog and facebook page. already put the image of the banner in the sidebar of the blog now wanted to know if it's just that to become a partner of you? To become a Sigma affiliate, you will need to sign up using the following link: http://www.sigmabeauty.com/category_s/189.htm. Please contact affiliate@sigmabeauty.com if you have any additional questions! cool that the consumer could choose the type of brush gift. we could choose to purchase each new type of a different brush. Hi Vanessa! Thank you very much for the suggestion! Love yhur collection of brushes! Will be getting some soon, since my little brother accidently mistake them for paint brushes. Just uploaded this lovely banner, as well as my link all together. Hello I have published a post on my blog!!!! To use the banners, you should save the image to your computer, upload it to your blog, and insert your affiliate link as the URL. Please contact affiliate@sigmabeauty.com with additional questions! Question for you: Is it valid for purchase made on april or it will be applied also for purchase made today and tomorrow? The promotion will begin with orders made on April 1st! You guys should do a set of this cos the color is so cute. Love it! como funciona, faço o cadastro e quando alguém comprar através do meu link que eu ganho a comissão? Yes! You earn 10% commission on all first time customers who use your link to make a purchase. You can email affiliate@sigmabeauty.com with any additional questions! how can I post this banner on my facebook wall? You can save the image to your computer, and either paste it on your Facebook wall or upload it as a picture in a photo album. Please contact affiliate@sigmabeauty.com with any additional questions! This is such a great promotion!!! Travel size brushes are so handy and... well, the pink handle makes this brush very lovely (in my opinion)! Is the gift value is less than $30 or more? and their any restrictions or other issues in shopping? The value of the free gift is less than $30. To receive the free gift, the sub-total of the purchase must be over $30. You can contact affiliate@sigmabeauty.com for more information!